Transport Scotland appointed Mouchel Fairhurst Joint Venture through a competitive tendering procedure to provide design and construction supervision services for the A737 Dalry Bypass. The A737 Dalry Bypass will comprise approximately 3.5km of single carriageway new trunk road to the east of Dalry town in North Ayrshire. The aim of the bypass is to reduce delay and congestion within Dalry and improve road transport links to Glasgow and Ayr. The A737 links with the M8 motorway at Paisley. 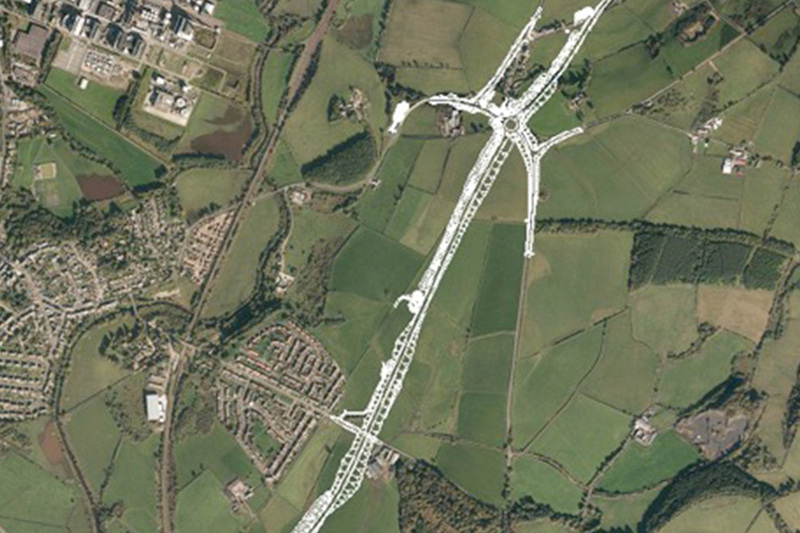 As part of the scheme new junctions are required to the north and south of the town on the existing A737 Trunk Road. A significant major bridge structure will be required to carry the new bypass over both the Glasgow to Ayr Railway Line and the River Garnock and its flood plains at the southern end of the scheme. Mouchel Fairhurst Joint Venture (JV) undertook a full DMRB assessment and study of the route options for a trunk road bypass of Dalry town centre. This required the JV to investigate, develop, determine and recommend a Preferred Route to complete Stage 2. Following further targeted investigations and detailed scheme development Stage 3 was completed with the publication of the Environmental Statement and Engineering Report. The Stage 3 layout informed the publication of draft Orders with the scheme being subjected to a Public Local Inquiry at which the JV provided Expert Witnesses. The JV has produced conceptual and specimen designs for the route and tender documentation to allow the scheme to be taken forward to construction. The JV is also providing construction monitoring and reporting services.